The prickly comedy Friends From College will return to Netflix in January of 2019, according to a new trailer for the second season. Created by Nicholas Stoller (The Five Year Engagement) and Francesca Delbanco, the series revolves around an ensemble cast of middle-aged college buddies, as they go through the next phase of their lives, making each other and the people around them miserable in the process. 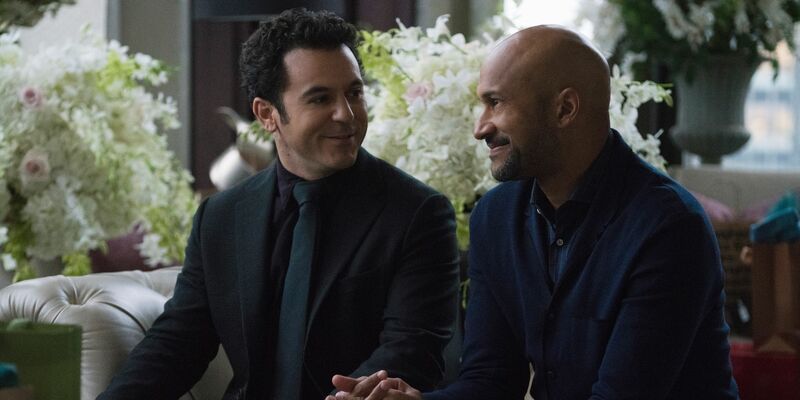 The series boasts an impressive cast that includes Keegan-Michael Key, Cobie Smulders, Fred Savage, Annie Parisse, Nat Faxon, and Billy Eichner. The first season was met with a critical consensus that mostly deemed the characters too unlikable to make for a fulfilling show. Your mileage may vary, certainly, as the misadventures of these friends still has a lot going for it, regardless of whether or not the characters are people you’d want to spend time with or not. Often funny without resorting to cringe-worthy moments, Friends From College is actually an enjoyable binge-watch, which may be why Netflix renewed the series for a second season. How viewers and critics will react to the show’s changes will be one of the more interesting things to see when the second season premieres in January. Some time will have passed in the lives of the central characters, meaning the show will have an opportunity to move past the bumps in the road that were tripping up certain critics and audience members alike. At any rate, those curious to see where Friends From College goes next will have to wait until after the holidays to find out. Friends From College season 2 premieres Friday, January 11, 2019 on Netflix.